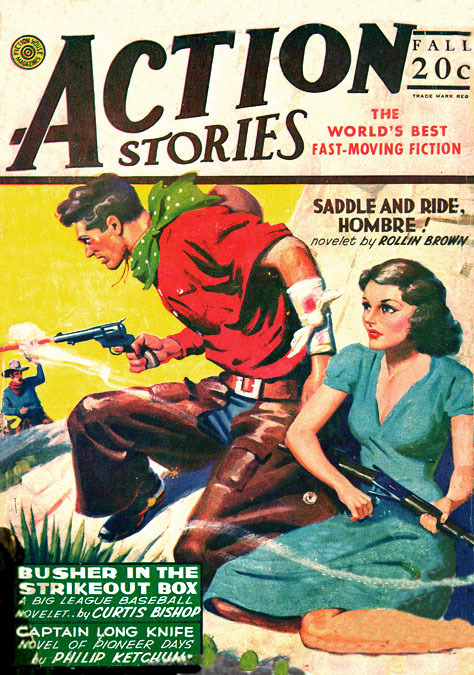 Very few pulp artists were also credited as published authors. 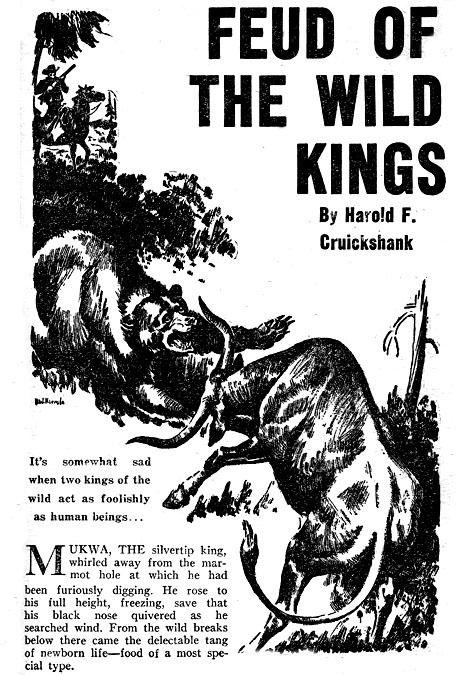 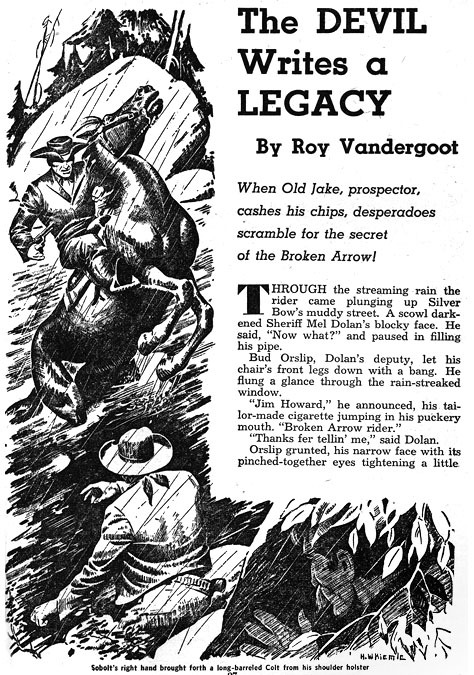 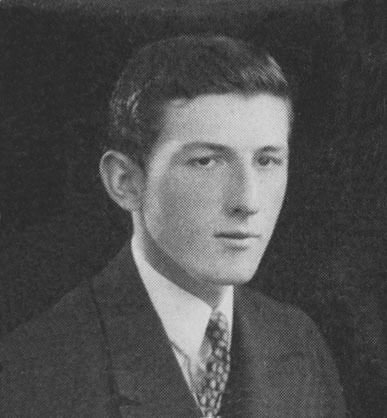 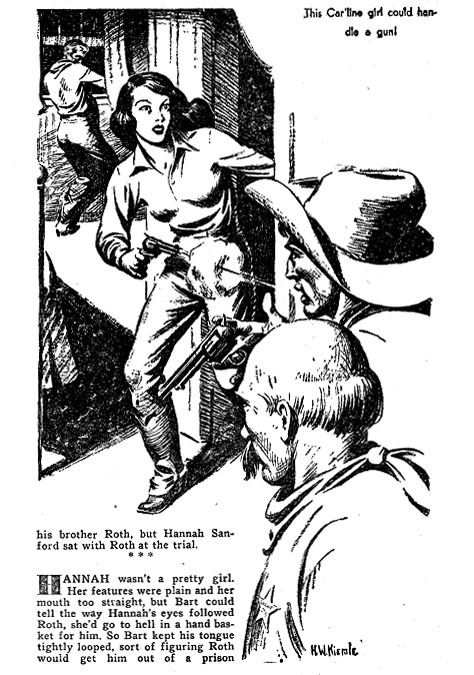 A few pulp artists, such as Gerard Delano, Norman Saunders, Frederick Blakeslee, and Hannes Bok, also wrote short pieces, such as articles, essays, and poetry. 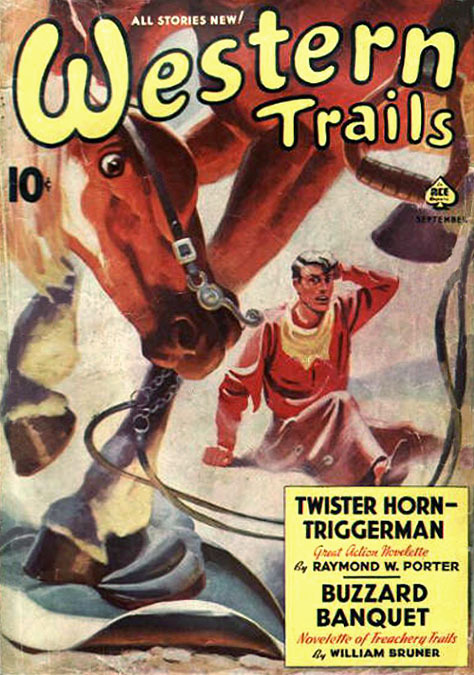 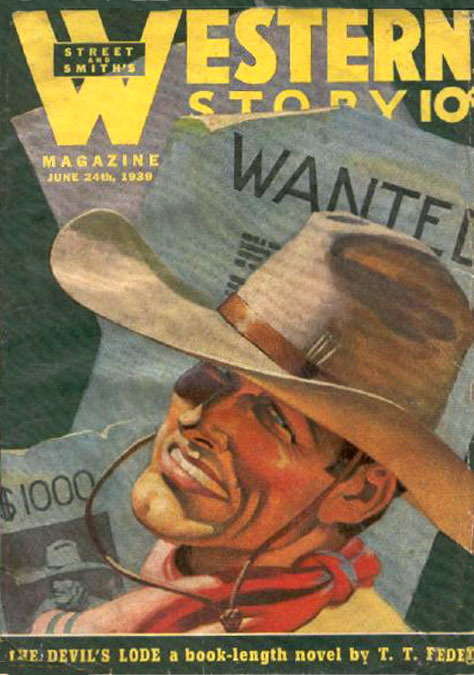 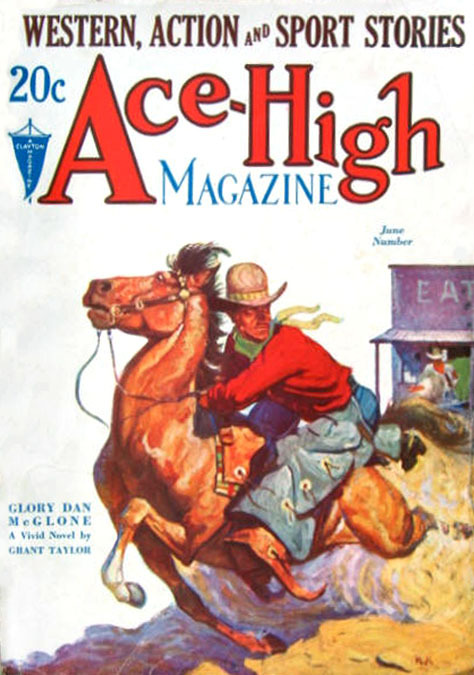 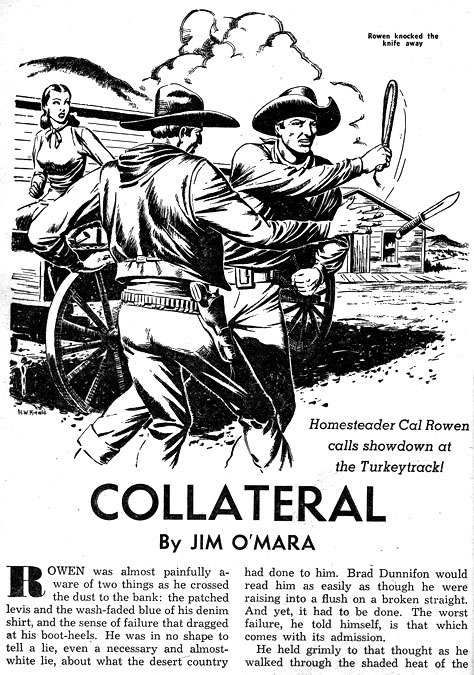 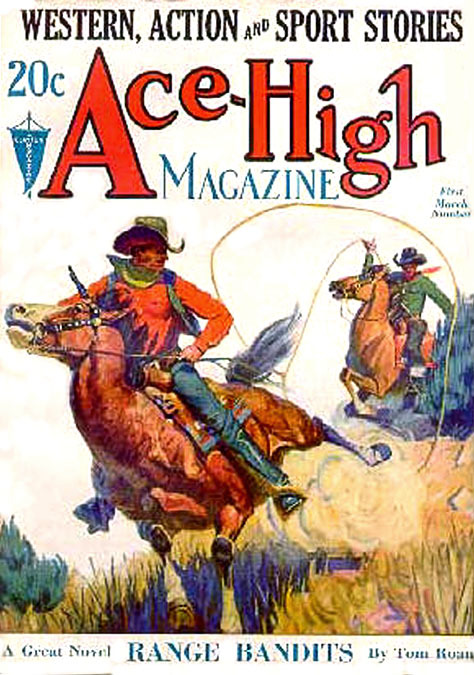 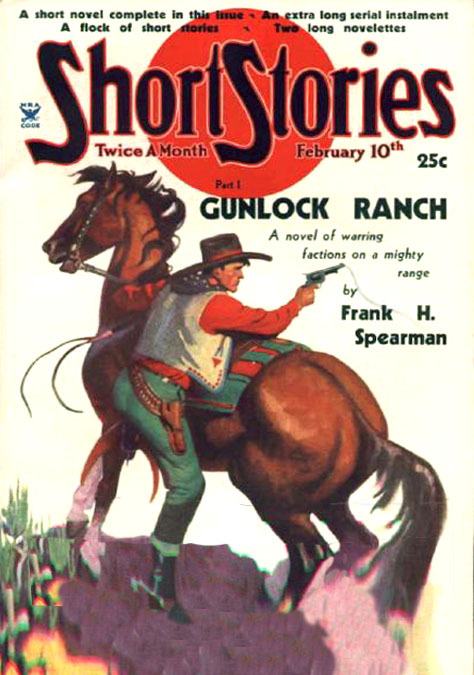 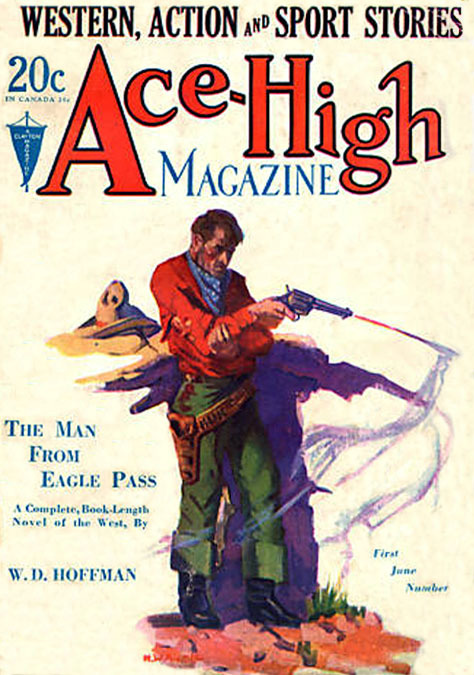 But H. W. Kiemle wrote a published pulp novel, entitled "No Place For Any Man," which appeared in the April 1955 issue of Western Action Magazine, and he also wrote several short stories and essays that also appeared in pulp magazines. 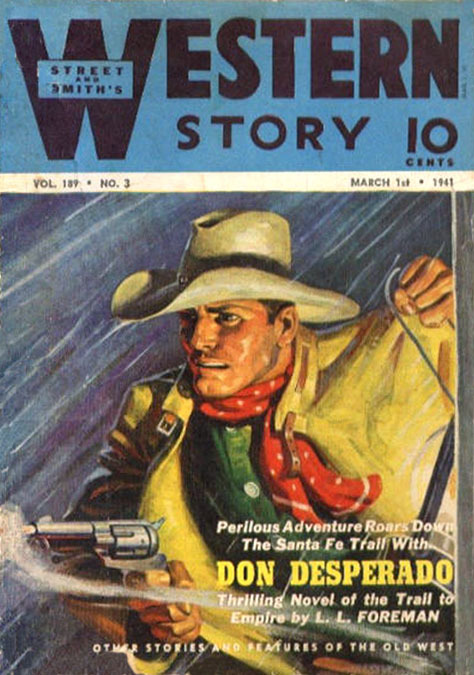 In this respect his contribution to pulp magazine history is unique.